Activity Bags were created to make science education easier for moms everywhere! 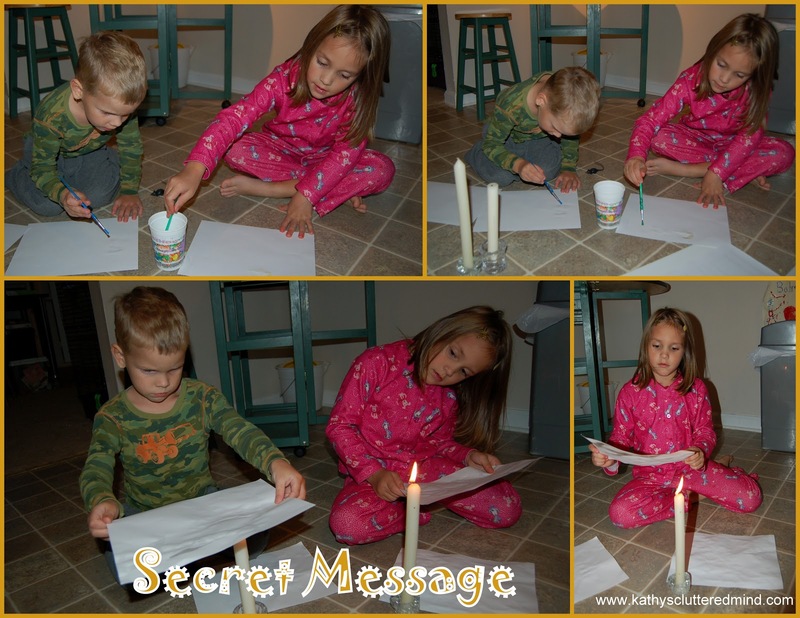 They were created by two homeschool moms! And they have even been tested by moms! What more could you ask for? Two homeschool moms brainstormed together in 2002 and came up with the brilliant idea of "Preschool Activities in a Bag" to help keep busy toddler occupied so mom could attended to the older siblings. But then the idea grew into something more amazing and they decided to get other moms involved and thus the "Activity Bag Swap" was born. Since then Shari McLean and Paula Reetz have created several other great books like: Science Experiments in a Bag, Travel Activities in a Bag, Reading Games in a Bag and Math Games in a Bag. 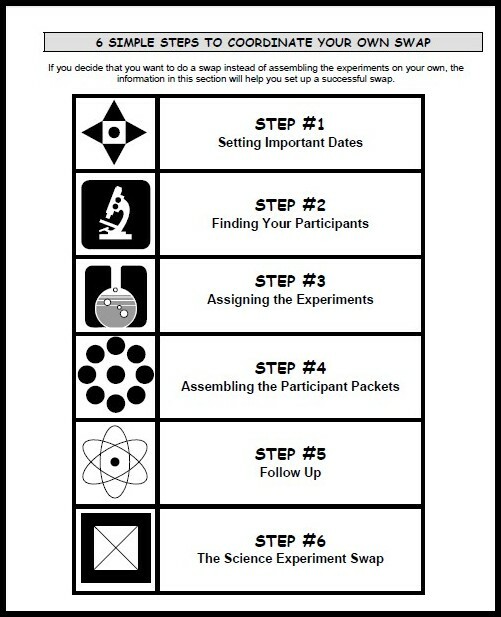 As stated in the beginning of the Science Experiments in a Bag eBook, "Science is not something mysterious. Being "scientific" involves being curious, observing, asking how things happen, and learning how to find the answers. Curiosity is natural to children, but they need help understanding how to make sense of what they see. I hear all too often from mom friends that they are not creative enough to come up with science experiments. Or that they don't have enough time to come up with science experiments. Or even that they HATE science...which I find completely crazy how can you HATE science? Well the Science Experiments In A Bag eBooks are just what you NEED if you agreed with any of those statements!!! 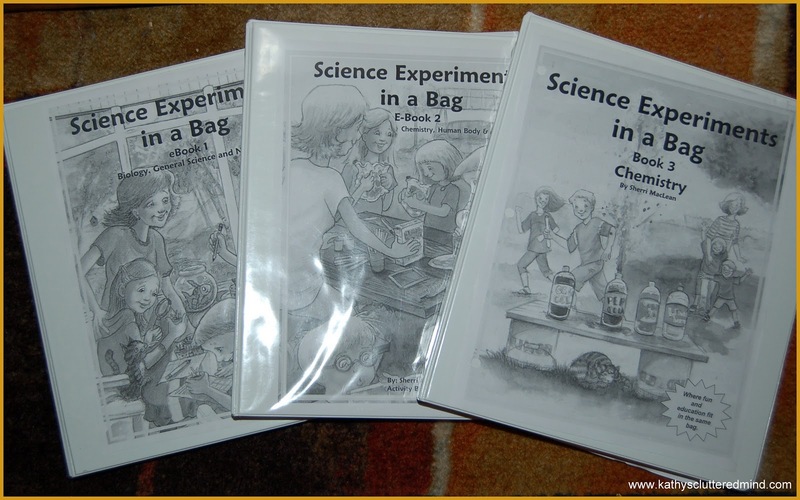 We reviewed three Science Experiments in a Bag eBooks. All of them were fabulous and super easy to use. Everything you need to EXPLORE and have FUN with science is in these eBooks. Through these eBooks your family will learn about the scientific methods through hands on experiments. The experiments included in these eBooks cover several of the sciences including: chemistry, the human body, general science, nature and biology. The nature experiments were our family's favorite. These books are designed for children in grades K-8. But I think even adults older children will have a blast with them. 1) Activity Bag Swap: You can choose to participate in an Activity Bag Swap. First you need to get several families to participate. Next you assign each swapper 1 activity. Each swapper will then assemble their activity 10, 15, 20 or however many times to equal how many families are participating. For example, if you only have a total of 15 swappers (including yourself), each swapper will assemble their activity 15 times. Set a time limit for everyone to get their bags assembled. Then meet up and SWAP and most importantly have FUN! The bags are very inexpensive to create and only cost about $1-$2 per bag to assemble. Many of the materials are easy to find and most of them you will probably already have in your home. The eBooks come with ALL of the instructions you need to organize a swap. For each bag, there is an easy to follow instruction sheet with a checklist, list of supplies and assembly instructions. Even the experiment labels and logs are included. In the back of the eBook there are also, "6 Simple Steps to Coordinate Your Own Swap." We didn't participate in a swap, although I think it is a wonderful idea! This would be great for a co-op, church, homeschool group, preschool, girl scout troop, babysitters, etc. 2) Independent Study: You can set up bags just for your family following the same instructions above for the swap. Then place the bags into a storage container where your children can easily grab a bag to work on during their science lesson time or even free time. 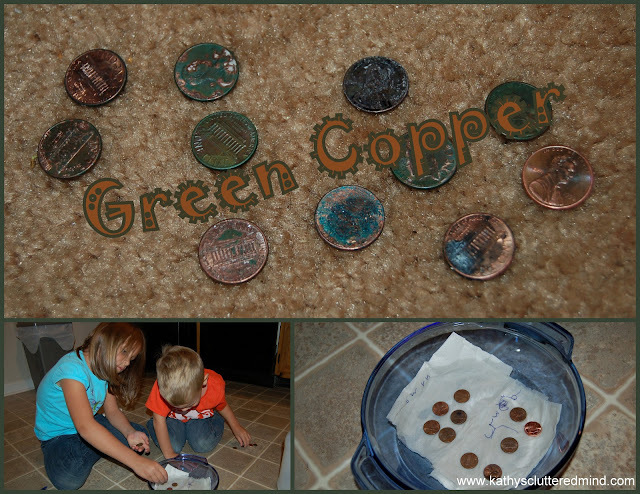 This would be great for older kids who are becoming more independent (there are some experiments that will require adult supervision like the ones with fire). 3) Family Science: This is the option we used. During our homeschool day we would get out our three "Science Experiments in a Bag" eBook binders and page through looking for an experiment that peaked our interest. Sometimes we would try to find one that went along well with what we were learning about that day. Sometimes we even did two experiments in one day. So far we have had everything we needed on hand and have not had to buy any supplies. I really like how organized the Activity in a Bag eBooks are. In the front of each of the eBooks is a fabulous chart called "Science Experiment Categories". This chart breaks down each experiment into a category (biology, chemistry, etc). You can also choose to follow the recommendation of using colored cardstock making it very easy to file your children's work into a science binder. This page also tells you whether or not they are best to be done inside or outside. The "Experiments At A Glance" pages are my second favorite part of the book. This is great for those OCD, Type A personalities. In this section the experiments are alphabetized and include a description of each of the experiments, the category they belong to and general supplies needed. I also used this to mark off (with a highlighter) the experiments we've completed. We have done about 15 experiments (a few from each of the books). They are easy, fun, educational and everything including the lab sheets and even the answers (great for the not so sciency mommas) are included. Now not all our experiments turned out as planned. I am not sure if it was mommy error, child error or the actual experiment but nonetheless we had fun. We only had about 3 not completely work for us. And when this happened Gwyn (my Mythbuster addict) would say "BUSTED." And she even made me write that under our final notes portion. Even though they didn't always work it was still a lot of fun and a great opportunity to explain how scientists sometimes have to do experiments several times and then compare their results. This one was a bust for us. We used vinegar next time we are going to try the other option which was lemon juice. I loved that these come in a PDF format because it makes them easy to be used over and over again. I printed all three books and placed them into binders (I love my laser jet printer). Because my kids are 5 and 6 years old and not really writing on their own yet we choose to use one lab sheet and did the experiment as a family. If you have more than one child you can print duplicates of the lab sheets. This is definitly a product we will be using over and over again as the children get older. The great thing about these eBooks is they are super easy to use (I think I mentioned that multiple times now) and very flexible. No matter what method you choose you are guaranteed to have fun and learn something new. The experiments will captivate your children and spark interest to delve even deeper into the things they've learn while doing the experiments. In the back of each eBook is a great list of online resources should you wish to do more exploring on a subject. 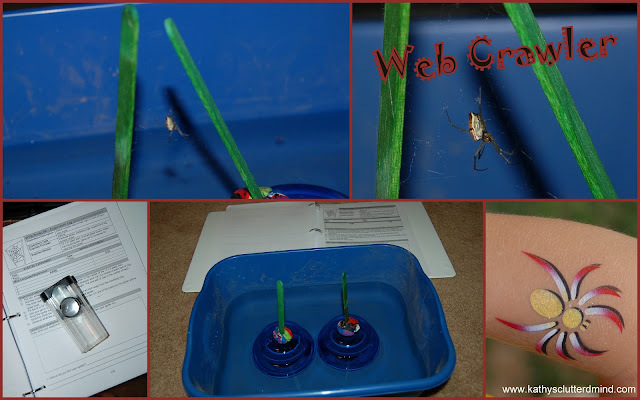 With this experiment the kids even got to learn about grubs, garden snails and roly poly's. Science Experiments in a Bag E-Book 1: This book provides examples of 25 simple science experiments in Biology, General Science, and Nature that you can do at home. Science Experiments in a Bag E-Book 2: Like eBook 1, this book provides examples of 25 more experiments, but this time in Chemistry, Human Body and Science, and General Science. Science Experiments in a Bag E-Book 3: Focused all on Chemistry this time, there are 25 more great science experiments on-the-go in this collection. 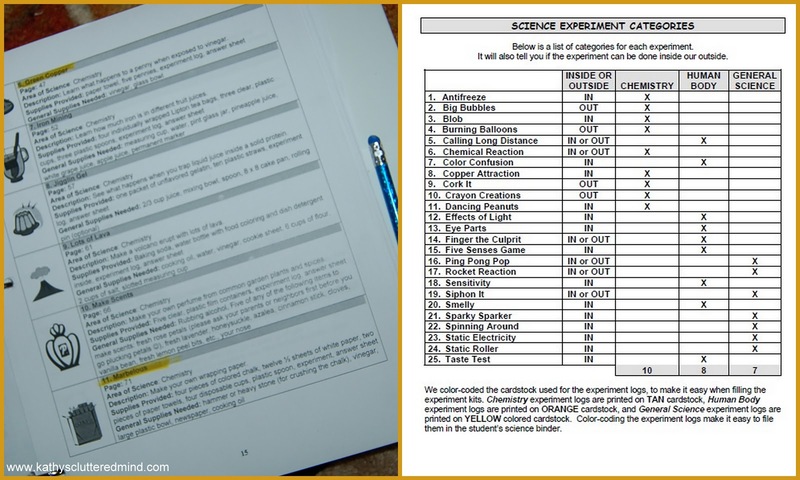 Preview Science Book 1 and Science Book 2 to view all the different types of experiments. Or fill out this survey to receive a free Activity Bag e-Sampler. The experiments were fun and good. My most favorite experiment was the spider web observing. We got to watch him weave a web between the popsicle sticks. The next day we put him back on his real home. 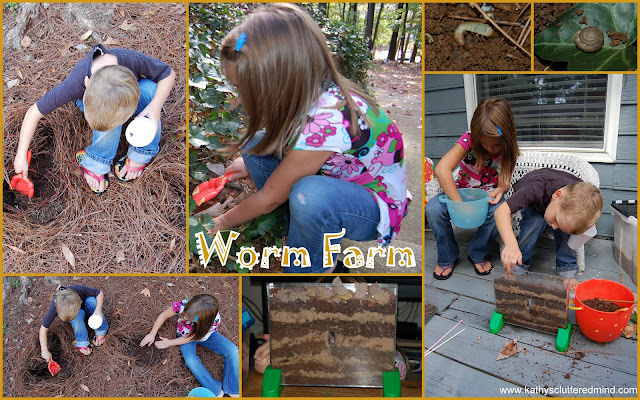 Oh and the worm farm. While digging we found grubs and snails too. We had lots of fun. Science is my favorite subject. Rowyn liked this one so much that he got an air brushed spider tattoo the next day at a Fall festival picnic we attended. 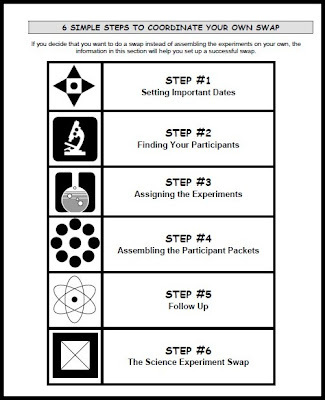 Each Science Experiments in a Bag eBook can be purchased for $15.00. There is also a special bundle price of $27.00 for book 1 and 2 or $37.00 for all three. And don't forget to check out the other great eBooks available including math games, travel games, reading games, and preschool bags please click on the banner below to read more about these other great Activity Bags ebooks. Click here for more Science Activity Bags reviews from the The Schoolhouse Review Crew. *Disclaimer - As part of the TOS Review Crew I received 3 Activity Bags eBooks in return for my honest review. Please note that prices indicated in the post are subject to change. I was not compensated for my review and all opinions are our own! Many of the links found on my side bars and in my blog posts are affiliate links. As a result, I might get paid money and I will most likely spend the money on homeschool supplies.